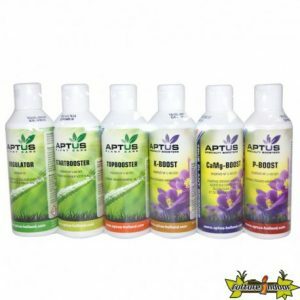 Aptus complete starter kit for the novice grower. 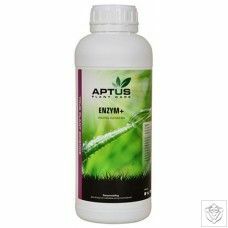 The Aptus Tentset Basic is ideal for those growers who want to try the fertilizers, additives and plant builders of Aptus without having large amounts have to take. The name says it all, the Aptus Tentset is also the ideal kit for hobby growers in a small area, such as a grow tent to achieve maximum return. This kit has all the components necessary for a culture of high quality and with the best results in terms of production, smell and taste. 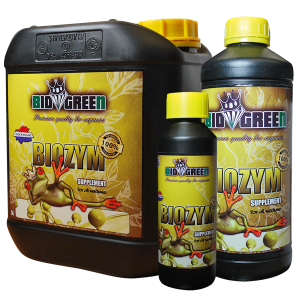 This kit should be used based fertilizer in addition to quality in order to achieve the best results from your plants. 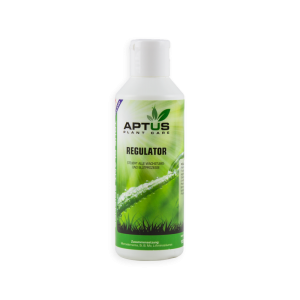 50 ml Regulator: Aptus Regulator contributes to the absorption of nutrients, enhanced the plant structure and increases the ability of the plant to cope with different stresses (abiotic and biotic). 50 ml Startbooster: Start Booster is a specially formulated organic root stimulator and growth. Start Booster is 100% biologically active organic substances that stimulate the development of the root system and the vegetative growth. 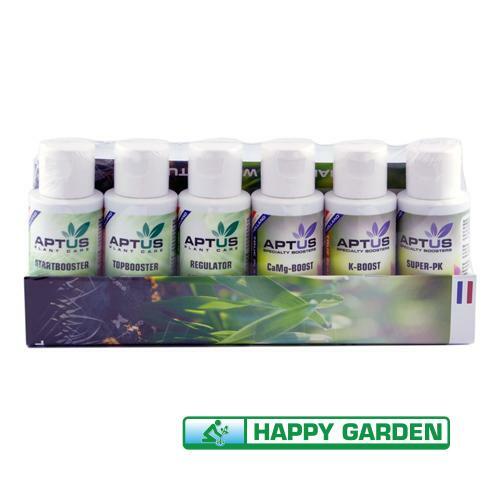 50 ml Topbooster: Aptus Topbooster is a combination of a flowering and maturation stimulator. Just as the Startbooster Topbooster is also a concentrated product that contains a complete mixture of active substances. Topbooster contains a complete mix of organic substances which each have a function on the flowering process. 50 ml Super PK: Powerful PK flowering stimulator. Plants in the flowering stage, an increased need for phosphorus and potassium. Super-PK contains these essential minerals for optimal bloom in high concentrations. 50 ml K-Boost Powerful maturation stimulator suitable for use in hydroponics systems.